Watch Part 2 of R. Kelly's Interview on "CBS This Morning"
The second a part of R. Kelly’s conversation with Gayle King on “CBS This Morning” aired right this moment. It’s Kelly’s first interview since being arrested and charged with 10 counts of aggravated sexual abuse in Cook County, Illinois. In the brand new clips, Kelly mentioned his monetary state of affairs, telling King that “people have been stealing my money.” According to CBS, the primary time he went right into a department of his financial institution alone to evaluate his funds was February 21, solely a day earlier than he was arrested on costs of sexual abuse on February 22. He instructed King that he was within the midst of transferring $350,000 between financial institution accounts when he was arrested. Kelly—who was taken into police custody last night in Chicago over unpaid little one assist—addressed his little one assist state of affairs as effectively, bursting into tears and starting to yell. “How can I pay child support? How? If my ex-wife [Andrea Kelly] is destroying my name and I can’t work? How can I work, how can I get paid, how can I take care of my kids?” he exclaimed. On February 22, Kelly turned himself in to authorities and pled not guilty. He was released from jail on bond on February 25. The costs stem from incidents that allegedly occurred between 1998 to 2010. They involve three underage girls and one 24-year-old lady. 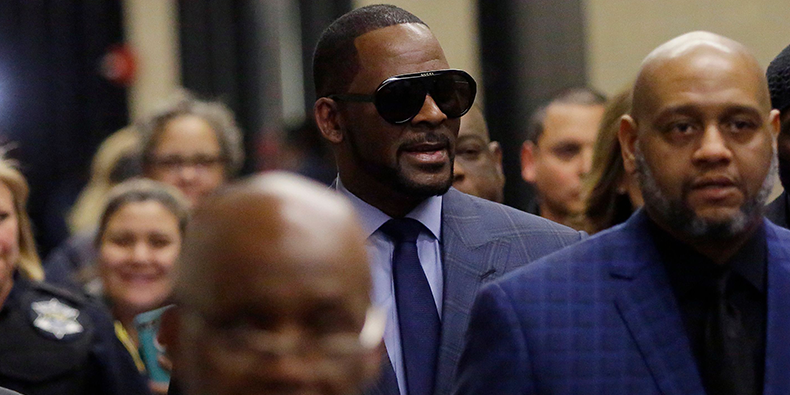 R. Kelly was recently sued by a girl named Heather Williams—a separate case. Williams claims Kelly sexually abused her in 1998 when she was 16. On Wednesday, Kelly was taken into custody over unpaid little one assist.